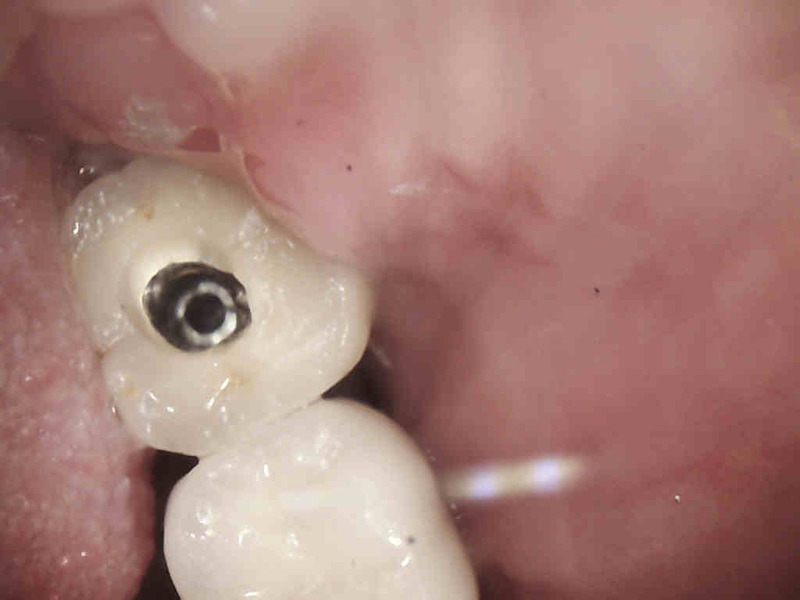 Liz had trouble, more specifically pain, around this implant ever since the crown was put on. After the original dentist (the one that placed the crown on the implant) couldn’t help her, the surgeon that placed the implant referred her to me because he knows I have helped a lot of his other patients in the past with dental problems. 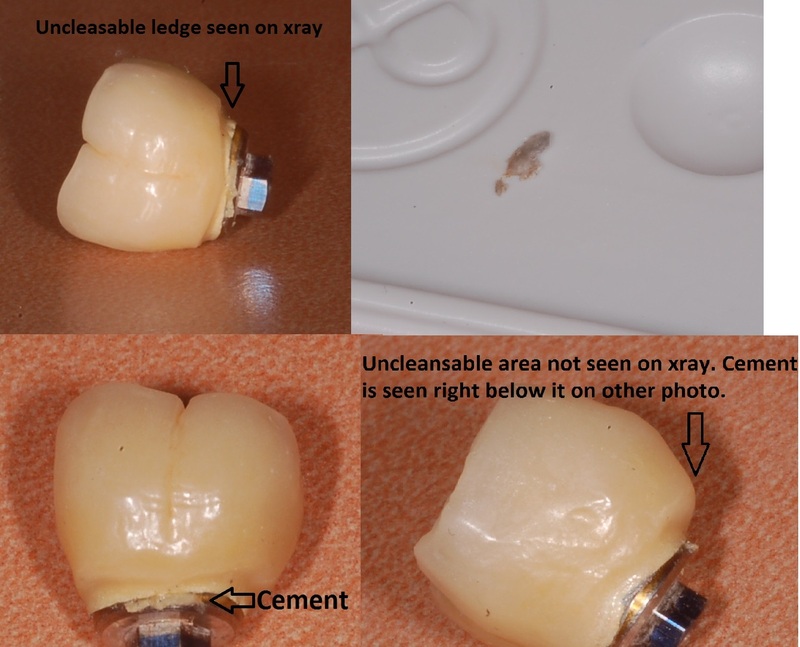 Whenever there is pain on an implant and progressive bone loss the first thing I think of is cement sepsis (tips on how to avoid). In between the first x-ray and the second, the surgeon that placed the implant had done an additional surgical procedure to attempt to clean the area of any debris. 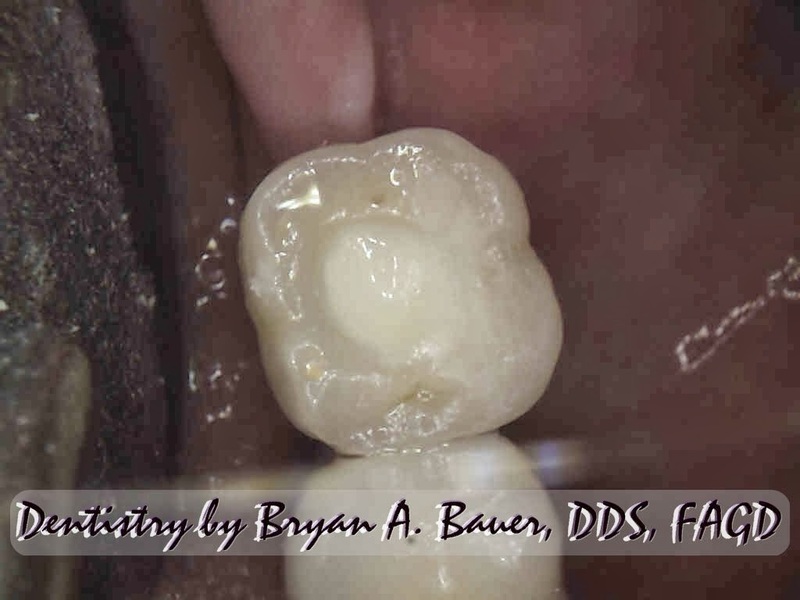 Due to the implants location and the shape of the crown, completely cleaning out all the cement left behind was impossible without removing the crown. In addition to being able to truly clean it, I knew removing it would allow me to reshape the crown without having the expense of remaking it. I was able to drill through the crown and find the screw holding the crown onto the implant, remove the crown, clean the cement, and screw it all back together. This eliminated her pain, will likely stop the bone loss, and likely saved the implant from eventual loss. Having the crown off I can see both the lab person designing the crown and the previous dentist really dropped the ball on this one. The lab guy created an uncleansable area with 90 degree angles. These poor angles are why the cement was trapped. The dentist should have fixed that before putting it in. ← Having trouble brushing your child’s teeth?